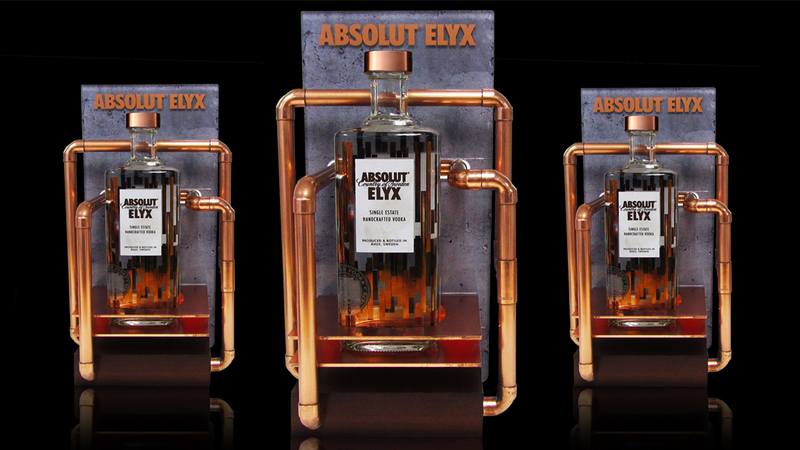 Elyx Perfect Serve is based on the idea of creating a unique experience while enjoying Absolut Elyx. 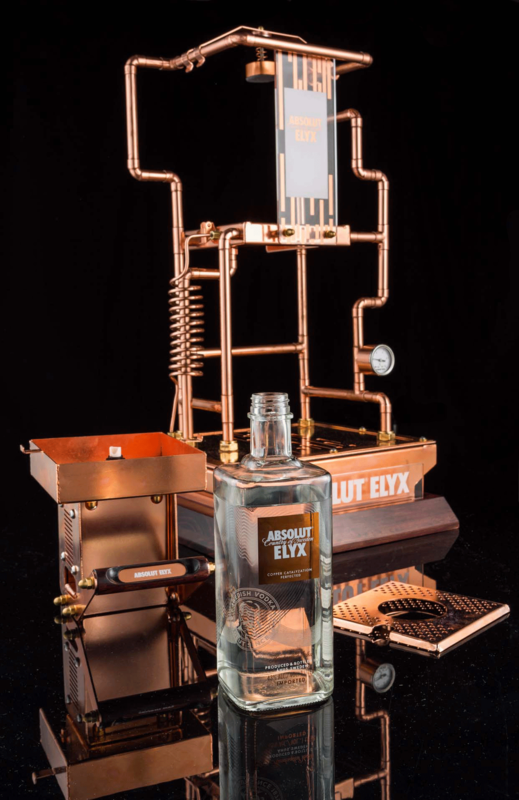 The brief was based on the concept to create an exceptional experience for the discerning Elyx consumer by allowing them to serve their own vodka on their table at 2 degrees Celsius… the perfect serve. 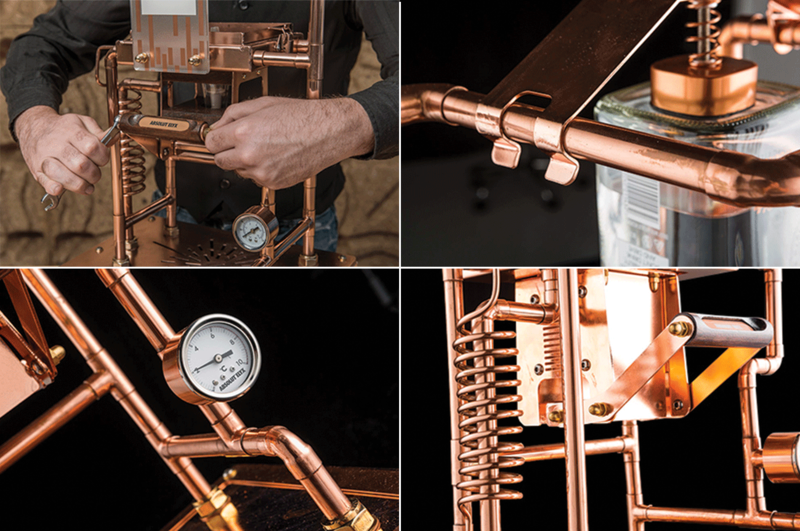 The design language is derived from Steam Punk to give it a distinctive distil look & feel that is unmistakably original and authentic. There were many challenges in this project, but the Project Room R&D team tinkered and tested elements of the design until every challenge was overcome. 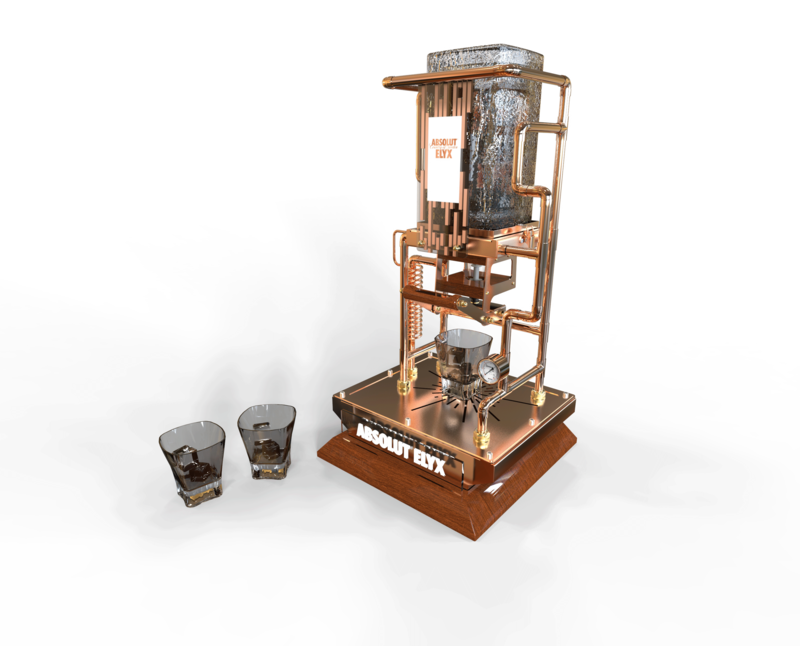 One of the key challenges was to come up with ways to serve the vodka at 2 degrees Celsius without a cooling device or electricity. Eventually, we settled with an ice mould with which we froze the bottle of Elyx into one large ice cube. 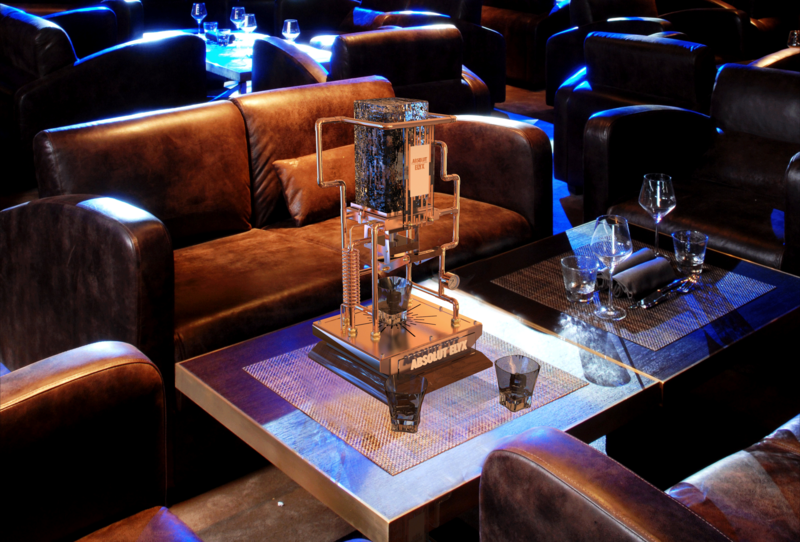 Once fully frozen, the cube with Elyx bottle is installed onto the serving station. The ice is calculated to last up to 6 hours in normal interior ambient environments. 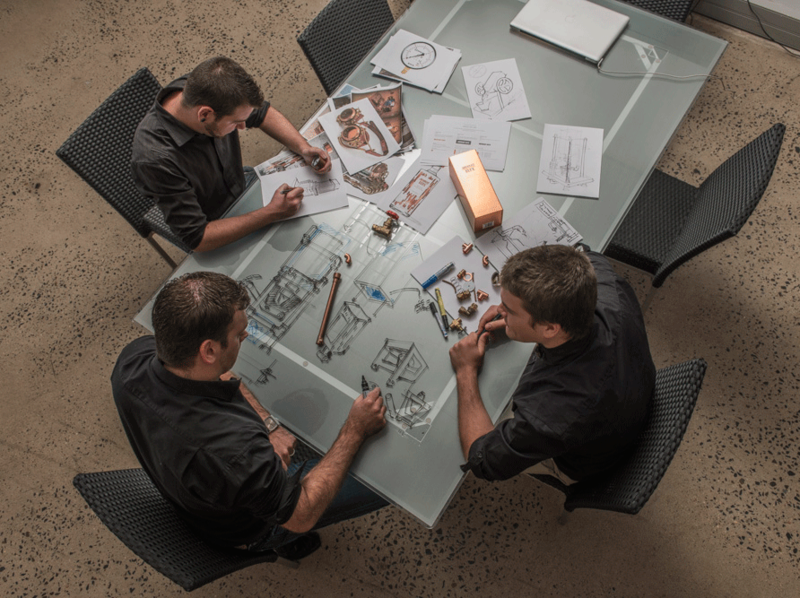 The best way to describe the result is selective, tasteful, refined and sophisticated. It is the first time something developed in Africa becomes part of best practice in Pernod Ricard Global.